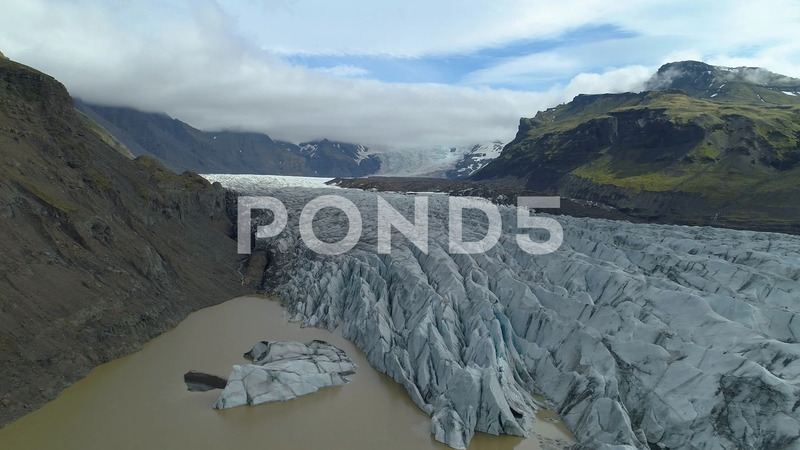 Description: Drone Shot flying over glacier toe in Iceland. Glacier sits between mountains. Runoff lake to left. Clouds in valley background.